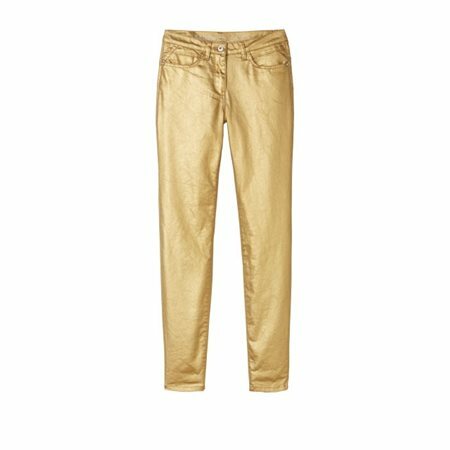 Speaking of eye-catchers, these trousers will make you the shining star of the show. The trousers have a gold coating and a fitted shape which makes you look elegant and dazzling. Wear it with the gold print top from the Sandwich collection for a party look.